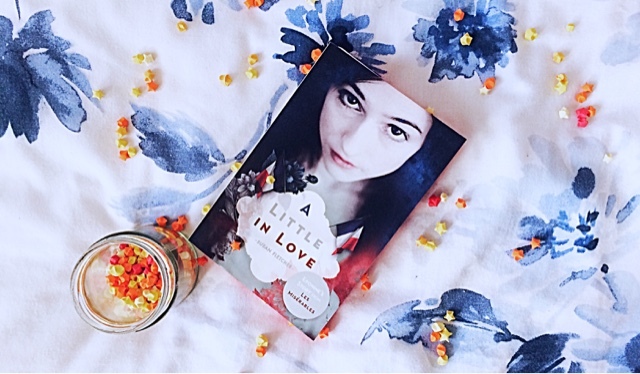 Hello and welcome to my last ever post on areadersfiction.blogspot! For a very long time now, I have been debating over whether to keep using blogger or whether to switch over to WordPress, but until now have never really felt the need to actually move my blog over. However, over the past few months or so, I have slowly and slowly felt more of the need to move from Blogger, as whilst I have really enjoyed using it to blog for nearly three years now (what! ), I think that now is finally the time to actually go ahead and make the move! My first post also just went up, where I talk about five books that I need to read before the end of the year, so if you fancy checking it, then please come and join me at my new blog! As we are already now well over half way through the year, and so now a month into the second half of 2017, I thought I would share some of my most anticipated releases that are coming out in the next few months or so. As much as the second half of the year gave us some fantastic new books, the second half of the year for me seems to be filled by a fair few new releases by some of my favourite authors, which I am so excited to finally be able to read by the end of the year. This is also only a short list of some of my most anticipated release, but there are also so many more amazing books being released as well as these ones. And so, enjoy! 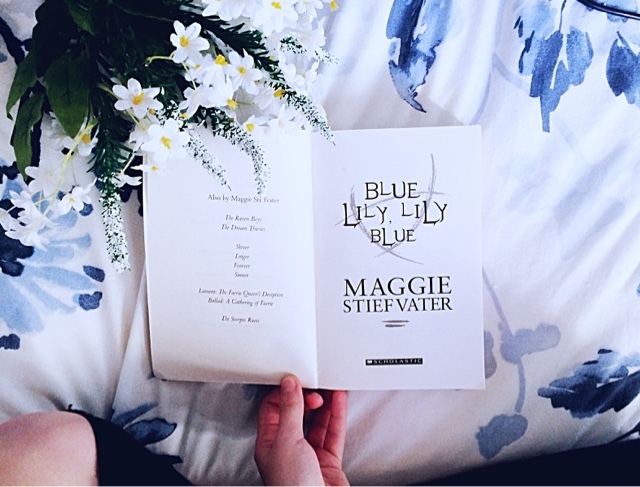 Despite having read some of Maggie Stievfater's books before this year, over the last seven months I have fallen well and truly in love with her books and with her writing. So far, this year I've read The Dream Thieves and Blue Lily, Lily Blue from the Raven Cycle, and I also do plan to read The Raven King before the summer is over, as well as The Scorpio Races, and its safe to say I have loved all of them so much. But because I just can't stop reading her books, I'm pretty sure I'm nearly out of books of hers that I haven't read, and so I was so happy when I saw that she was going to be releasing another book later on in the year. 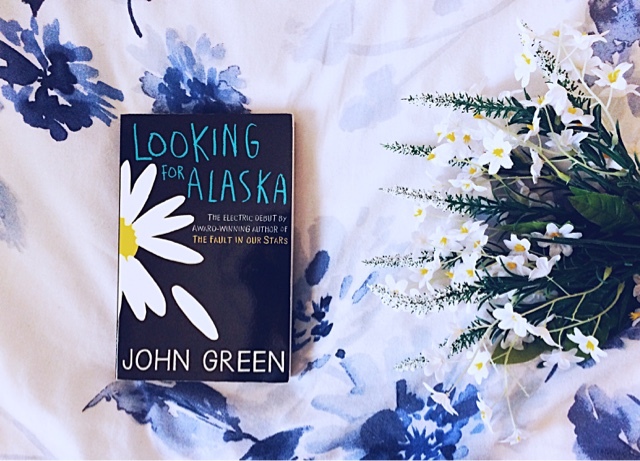 I feel like after it was announced that John Green was finally going to be releasing another book, alot of people, including me, are now anxiously waiting for this one to come out. Weirdly, I've also found his books to be quite hit or miss for me, as I loved The Fault in Our Stars, Looking for Alaska and Will Grayson, Will Grayson, but then I also really did not enjoy Paper Towns, and have never even fully read An Abundance of Katherine's because every time I pick it up again, I never seem to be able to read more than 150 pages before I end up DNFing it again. Despite this, I am still so excited to be able to read another of his books, and am looking forward to seeing what this next book holds, especially because the synopsis sounds very interesting, and still doesn't reveal a huge ton about the story, so it will be interesting to see what this one is like when it is finally released in October. 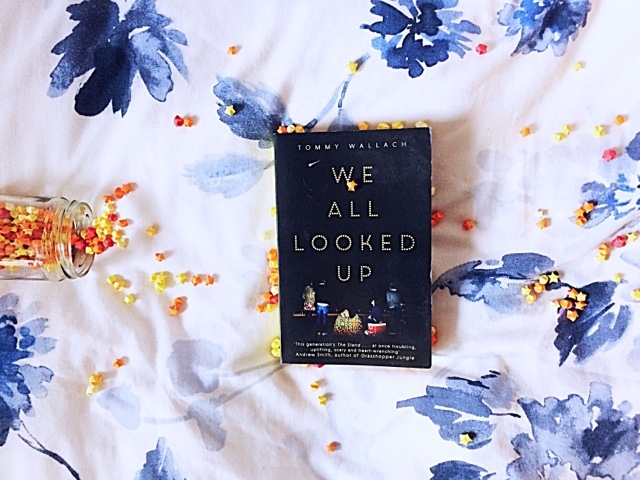 Anyone whose heard me talk about some of my favourite books or my favourite authors has probably heard me mention Tommy Wallach at least once or twice, as both of his books are two of my all time favourites, and two books that I am continuously recommending any chance I get. However, because I have read both of his books already, and because I read both not long after they were published, it means its been way too long since I read one of his books, as its now not long off a year ago that I read Thanks for the Trouble, his second release. I am therefore so desperate to get my hands on, and be able to read another book by him, and am also so excited to read something a little different from him, as this one is not a contemporary, but instead has an almost dystopian feel to it from the sounds of the synopsis. This is also set to the first book in a trilogy, which means two more books will be coming after this one, something else that I am super excited about, even if I will inevitably have to wait a while for their release. This is one that I have been excited about ever since I read first saw that Stephanie Perkins was writing a horror story a year or so ago now, so I am so excited to see that this book is finally being released very soon. Not only am I huge fan of Stephanie Perkins other books, but I also love the sound of this one, as anything that is pitched as Scream meets YA is definitely going straight onto my want-to-read list. 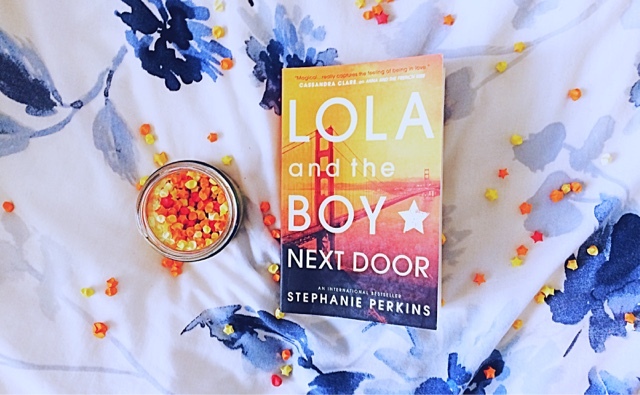 I'm really curious to see Stephanie Perkins write something quite different to what I'm used to reading by her, and so on top of everything I am also really excited to see how she writes a horror book compared to a contemporary. Finally, this is one that I didn't really think I would have paid all that much attention to had I not read, and adored History is All You Left Me when it read it at the beginning of the year. 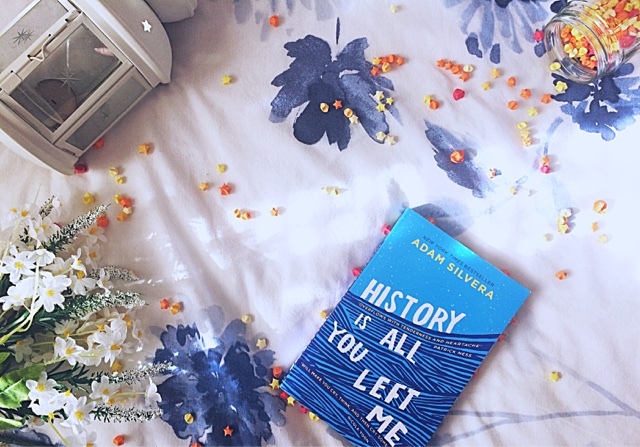 Although this is the only book by Adam Silvera that I have read so far, and I do still plan on reading the his first book, More Happy Than Not as well, I am already so excited to read this next book by him, as the concept of it is also just so unique and not like anything I've read before. I'm excited to see how this book and this idea plays out, and am also really looking forward to it because I am huge fan of books that take place over just one day or over a short period of time. To top it all off, this book also takes place on the day it is released, which just makes this book even more amazing for me, and one that I am definitely planning on picking up as soon as it comes out! What are some of your most anticipated releases for the rest of the year? Are you excited for the release of any of these? After a both May and June were pretty good reading months, when July came around I was determined to continue on, and read just as many books as I had in the previous months in order to keep on track and to hopefully catch up on my Goodreads goal to read 50 books by the end of the year. Thankfully, these past few weeks were somehow even better, as not only did I manage to read five books, but all of the books I read I really thoroughly enjoyed as well. This month I also decided to venture out of my usual comfort zone of YA, with three of the books that I read being from other genres, and I am so happy that I choose to do this as it almost showed me that adult fiction is something that I thoroughly enjoy and is something that I hope to read more and more of in the future. So, here are all five of the amazing books that I managed to read this month. And so, enjoy! To start off July, I decided to pick this one up at last as I just felt the sudden urge to read something other than YA, and knew I needed to read this one as it has been on my shelf for so long after I picked it up around the time the movie was released. 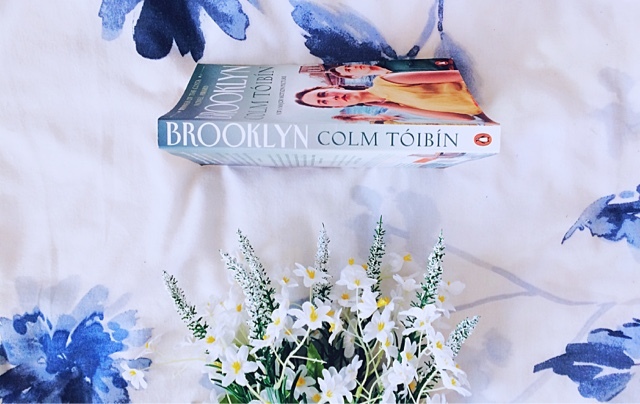 This one follows our main character of Eilis as she leaves Ireland to go to America to build a new life for herself, leaving behind her mother and her sister, and the life shes always known. I was a little apprehensive going into this one as I didn't really know what to expect from it, and although it did take me a while to get really into, I'm so glad I did decide to pick this one as I ended up really enjoying it alot more than I thought I would. I loved the simplicity of this story, and of the writing style, and so how beautiful it was just to read about a young girl trying to cope away from home and make something for herself. I loved so many of the characters in this, and loved how realistic they were, as well as the whole story was, and overall just really enjoyed reading this one. Next up, after enjoying Brooklyn as much as I did, I really wanted to continue reading more adult fiction rather than returning straight back to YA, and so choose this one as it was one I've seen around for quite a few years, but only recently picked up for school. This book tells the story of Cathy, Tommy and Ruth, as they grow up together at Hailsham, an exclusive boarding school, and later re-enter each others lives as they begin to finally understand the true nature of what it is that makes them 'special'. This was one that I didn't really know a huge amount about before going into it, and after reading it I think that may be the best way to go into this one as the story and certain secrets slowly reveal themselves as the book progresses, something which I really enjoyed about this one. Overall, I really enjoyed this one and found it to be quite a powerful and poignant read, particularly because of the nature of this story, as well as the idea of such a scary, almost dystopian concept being written into a modern setting. I also really liked how easy it was to fall into the writing style of this book, and how the simplicity of that contrasted against the complexity of the story itself. After two amazing, but quite emotive and powerful reads, I knew as much as I had enjoyed them that I needed to return to my comfort and to read something that would just draw me in straight away and . 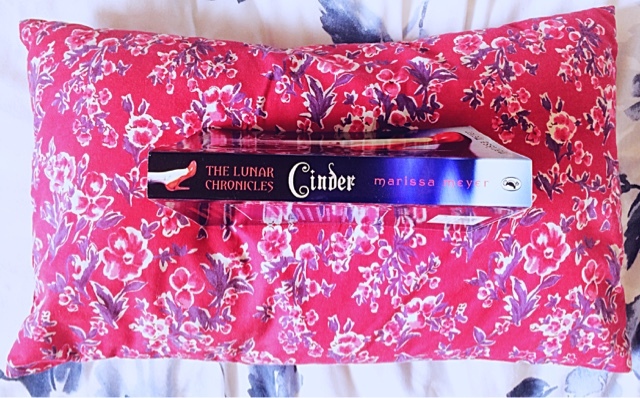 This book is a Sci-Fi retelling of Cinderella, and so follows our main character of Cinder, a cyborg who just happens to be the best mechanic in New Beijing, in a new take on the classic fairy tale. I really loved this one, with its addictive writing style and fast paced plot that allowed me to fly through this one in just a couple of days. This book just seemed to get better as it went on, and was filled with so many amazing plot twists that constantly left me guessing despite this being a story I thought I knew. It was a retelling whilst still being a completely separate story as well, especially because of certain aspects, such as the plague, and the obvious sci-fi aspects as well. All in all, I just absolutely adored this one so much more than I was expecting to, and I can't wait to continue on with the series very soon! Next up, I decided to leave my reading comfort zone a little bit once again, and so chose to pick up another classic, and a book that was actually on my June/ July TBR. This was another book that I didn't know much about before starting, other than that it was influenced by the USSR and was a dystopian novel, and so I really went into this one pretty much blind, something which once again I liked as it took time to understand all of the intricacies of the world anyway, and so don't think knowing more about what this actual story was about would have really helped me understand things quicker or anything at all. That said, I really did love this book and found it so much more engaging than I ever thought it would be. It was such a poignant read that just exceeded my expectations with just how clever and how thought-provoking it was, and I found so many of the ideas within the story so interesting. However, my one real problem with this book was that the second half of the book was a little slower paced, and parts become more of just a dump of ideas instead of a story with those ideas embedded in, which unfortunately made it drag a little in parts. 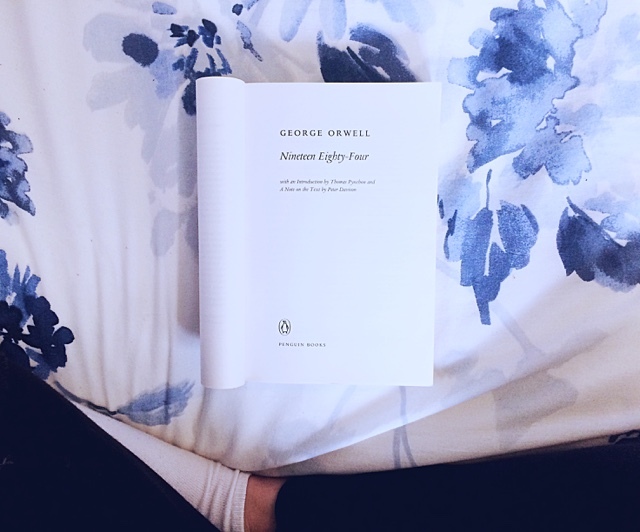 Despite this, I still did really love this book and am now excited to hopefully read more George Orwell books in the future. Finally, after finishing 1984, I knew I just wanted to read something quick and easy, that would be quite simple to follow and understand, and so knew that this one would likely be a good bet for that. As this book is basically just Eponine's story from Les Miserable, I did already know parts of the story, and so knew form that perspective, that it would be an easier read because it would be that little bit more familiar than other books. It was also a bit of shorter book, as it is only 270 pages long, something which whilst it did mean I managed to fly through this one in only a couple of days, it did mean the story was very condensed and moved very quickly, and even often moved a little too quickly for me. However, all in all I did enjoy this one, and found it really interesting to see a well-known story almost expanded upon and so to be able to see more into the lives of one of my favourite characters, and liked how it did seem to stay true to her character as well. What books did you read this month? Which was your favourite? Have you read any of these books - what did you think? 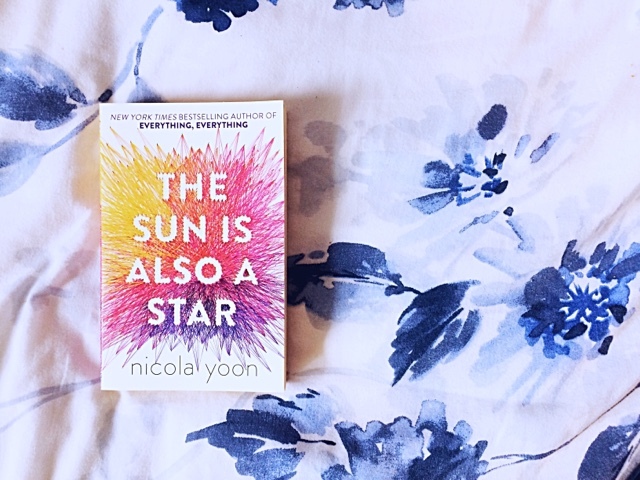 Although for alot of people summer is already well under way, this week actually marks the start of my summer, and so after my TBR just went up on Sunday, I thought that I would look back at some of my favourite books that I've read in the last few summers and to recommend some perfect books for this time of year. Summer is also most definitely the time I read so many more contemporaries, and so as much as I have tried to add some other books from other genres on here as well, this list does include quite a few contemporaries within it. Another thing I also tried to do with this list was to pick books that I not only think are perfect to read in the summer, but ones that I myself also read in the summer, which is something that I actually found myself naturally doing anyway as I feel like alot of people gravitate towards similar sort of books that are summer reads at this time of year. Anyway, here are some of my recommendations for some amazing books to read in the warm summer months. And so, enjoy! 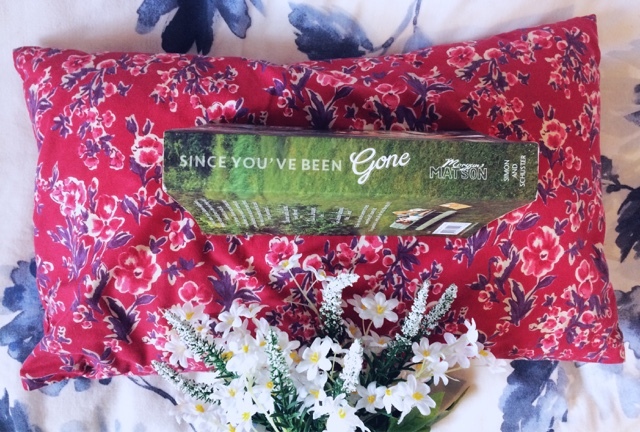 Whilst all of Morgan Matson's books scream summer and so almost demand to be read in the warmer months, this one might just be my favourite of hers that I've read, and so the one that I would definitely recommend picking up. This follows Emily as her best friend, Sloane, suddenly disappears at the start of the summer, leaving behind her a list of 13 things for Emily to do that pushes her out of her comfort zone and sends her on some very unexpected adventures. This book honestly is just such an amazing read that will hook you, but also inspire you to make the most of the summer, and move away from your comfort zone, even if just a little bit. Next up, this one is a little bit of a darker contemporary, and so also one that is a little different to your normal summer read as it follows four different characters as they are told that they have only two months to live before an asteroid hits the earth. 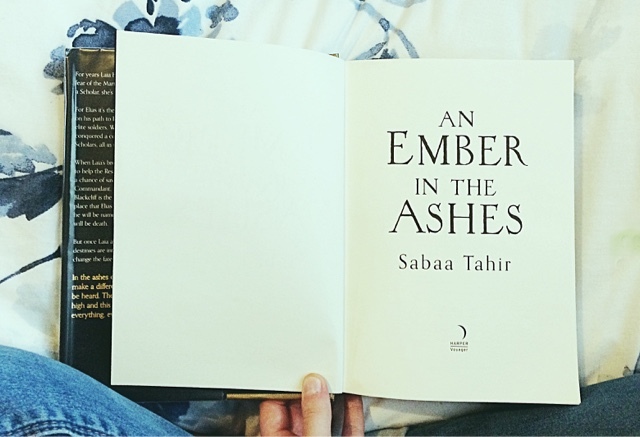 Not only does this one have such an amazing concept that is executed so well, but the writing is also so unique and will draw you in and make you fall in love with this story and these characters whose lives all begin to intertwine, and who all individually grow so much through the course of this book as well. Whilst I would be lying if I said I wouldn't recommend recommend this book at any time of the year, I think that summer is definitely one of the best times to pick this one up and give it a go. This one is a contemporary that follows our two main characters of Natasha, who is fighting to stop her family from being deported back to Jamaica, and Daniel, whose Korean parents want him to go to Harvard but whose own passion lies in poetry, not in becoming a doctor. 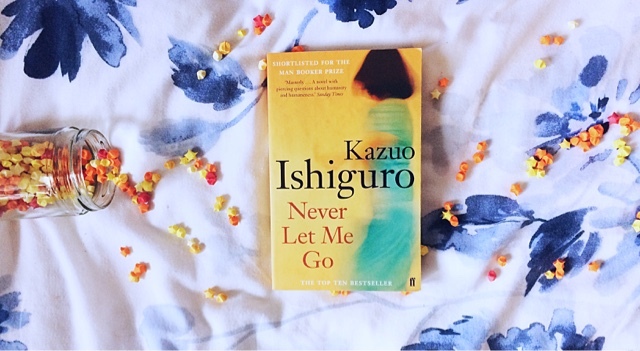 It is just such an amazing book that you will fly through without even realising and that includes two stunning main characters who are very different but both just as spectacular as each other, and who will both take you on a epic one-day journey as they both face their own problems whilst also trying to figure out the growing relationship between them. If fantasy is more your thing, then this one might be a better recommendation for you, as it tells the story of both Elias, a Mask who soon plans to desert and risk death by doing so, and Laia, a Scholar who has to call on the Resistance for help to recover her brother after the Masks take everything from her. This is another book that will hook you from the very start, and will take you on such an unpredictable journey with so many twists and turns that you won't see coming. This is another one that is a perfect summer read and has everything you might want from one without being your typical contemporary story. Instead, this one follows Nix and her father as, along with their crew, they travel back in time in an attempt to save Nix's mothers life, despite the fact that if they survive in doing so, they put at risk Nix's entire existence. This not only takes you to some amazing places, but also some romance, adventure and is a completely addictive read that you will not be able to put down. Finally, this recommendation comes from another weird reading habit that seems to come with the summer months, in which I always seem to pick up some sort of horror book every year. This was the first of Carlos Ruiz Zafon's books that I read, and follows a family as they move to a coastal village in an attempt to escape the war, but who strange things begin to happen to as they get wrapped up in the mystery of their houses previous owners. This is a perfect mystery that will leave you guessing and entice you with an amazing story that is accompanied with just as gorgeous writing, and will almost definitely send a few shivers down your spine as well. 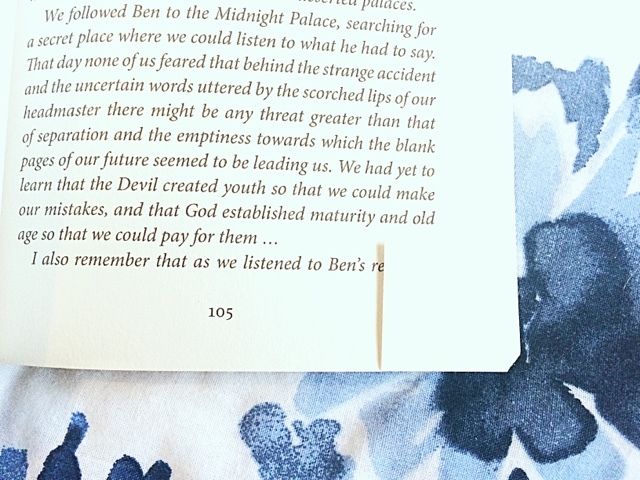 What books do you recommend for the summertime? Have you read any of these - what did you think? Instagram - follow me @areadersfiction!